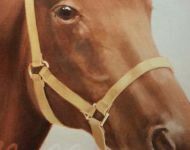 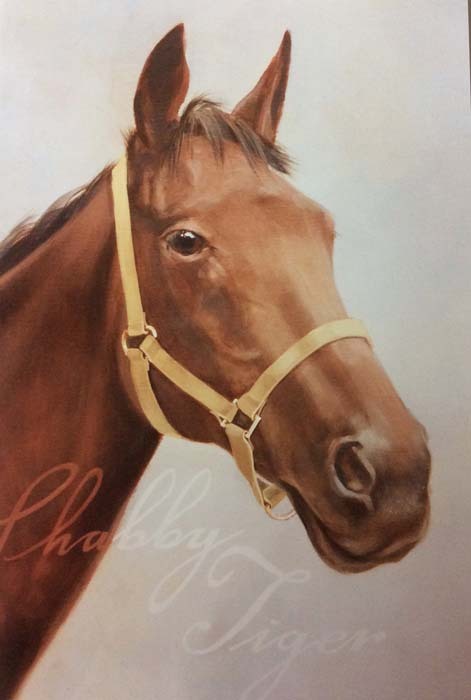 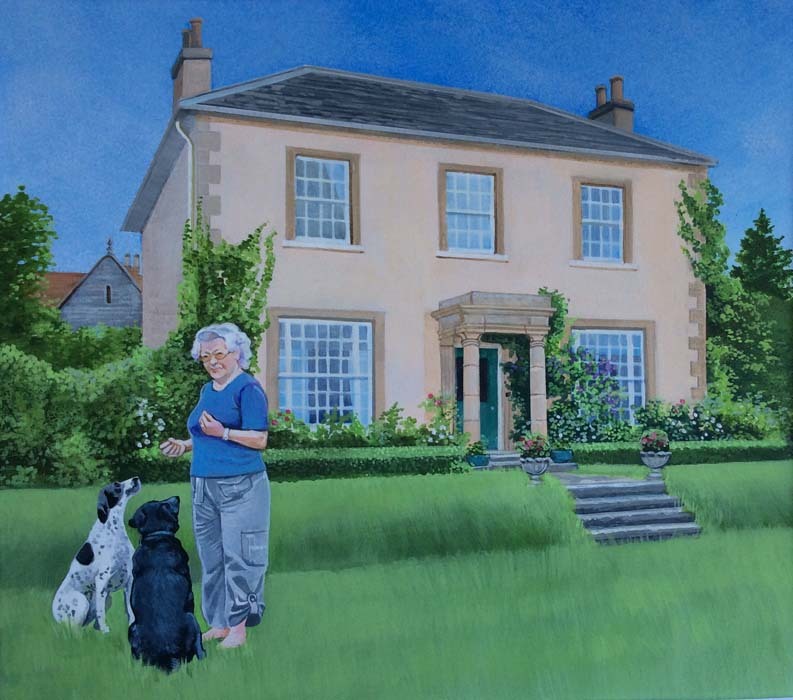 I enjoy working on portraits of people, animals and houses, or a combination of all three. 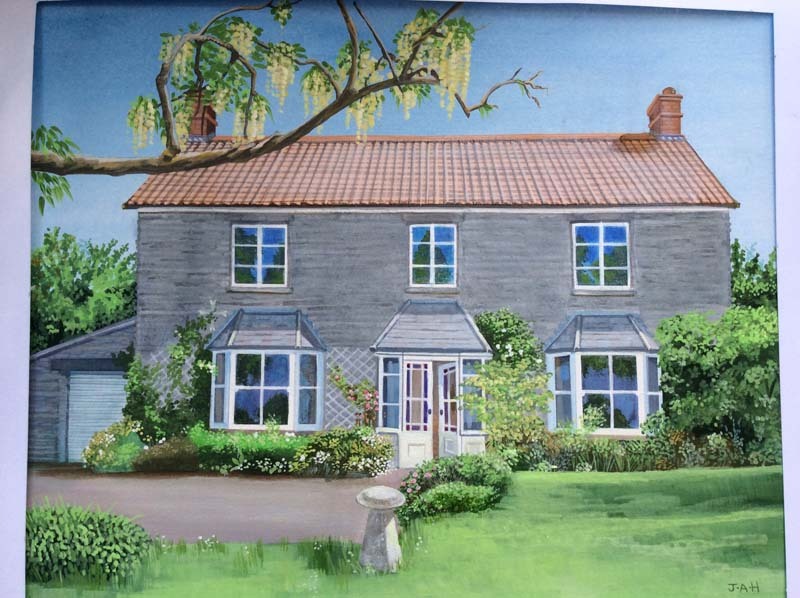 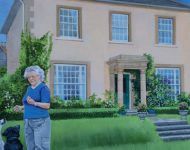 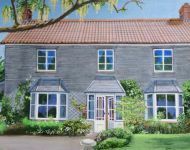 An idealised house portrait can preserve the happy memories of living there and it’s always interesting to add in the owners and perhaps their animals. 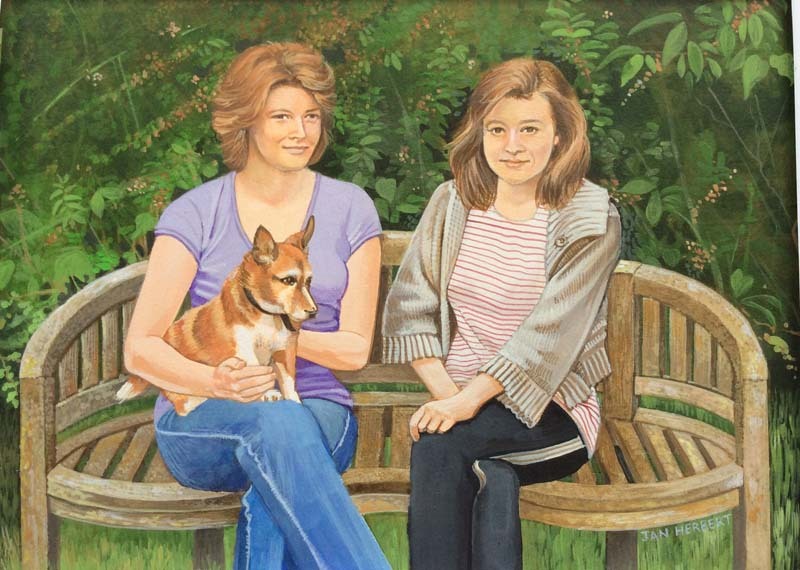 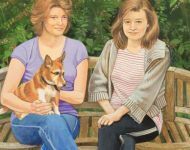 Portraits of people could be painted ‘in the style of’ a favourite artist, recreating a well-known image but with you in it!